Drinking Water for Mexico • CADENA A.C. The capacity to withstand natural disasters is built bottom-up. One first step is taking care of the community’s basic needs. More than 9 million Mexicans lack access to clean drinking water. Consumption of contaminated drinking-water can bring about potentially fatal gastro-intestinal diseases, especially among children and elderly people. 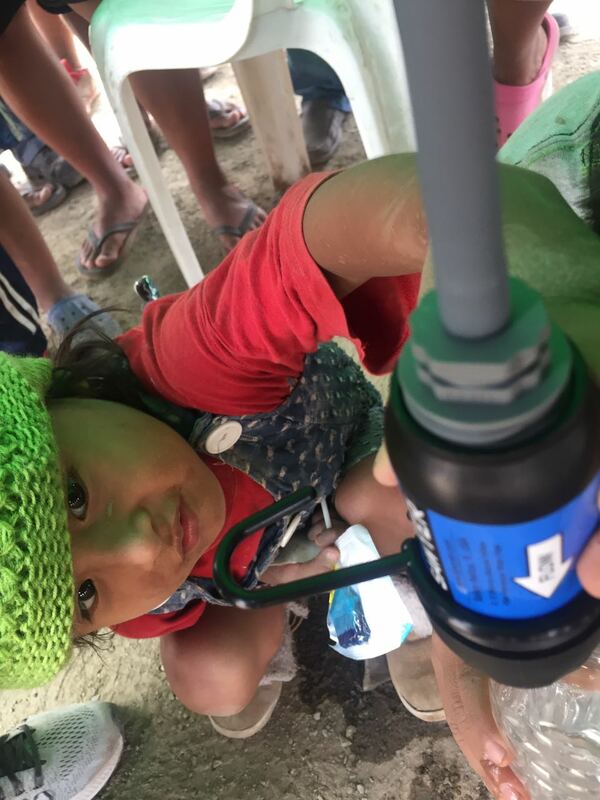 The Sawyer water filter is an active coal device, easy to transport, install and use; it can filter up to 800 liters of water a day and, with adequate maintenance, can last up to 5 years. Cadena delivers, installs, and trains community leaders for the correct utilization of these filters. Each filter can last up to 5 years with adequate maintenance. This provides a security period until the community is re-established and resilience is built. 157 water filters were installed during 2016 and 2017 in more than 30 indigenous communities throughout the State of Mexico. Also, more than 20,000 Otomi and Mazahua people have been benefitted by the Drinking Water for Mexico project. We expect to replicate the project carried out in the Mazahua area in other states throughout the country. Two possible options are communities with severe water scarcity in Hidalgo and Puebla.